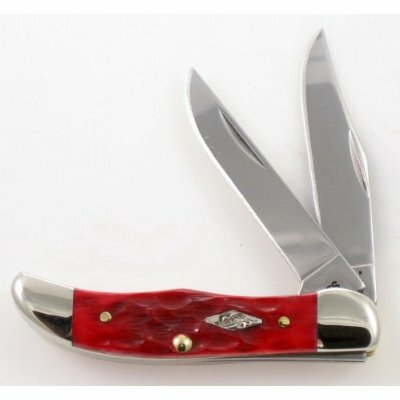 This is the Case 2263 Christmas 2010 Dark Red Bone Pocket Hunter. The knife's pattern is TH62165 SS and features Clip and Skinner blades. It has a closed length of 2-3/4" and weighs 1.7 oz. Includes Seasons Greetings 2010 glass ornament, gift bag and tissue.